Shadow of the Thin Man is the last of the classic four Thin Man films before the large drop in quality of the final two flicks. 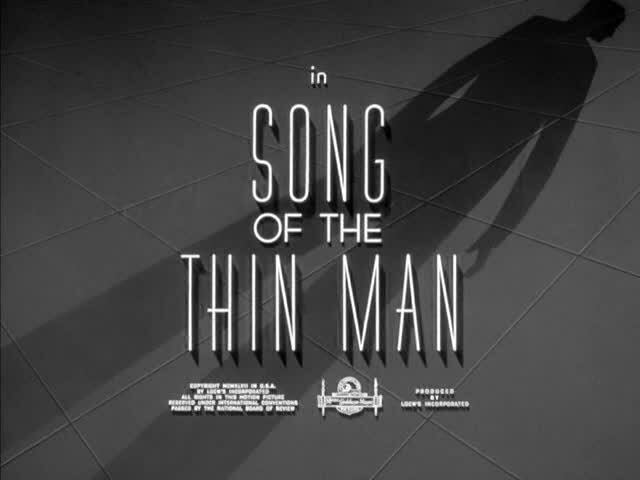 Dashiell Hammett doesn’t help provide the story, and Frances Goodrich and Albert Hackett have also moved on, leaving the writing in the hands of Harry Kurnitz and Irving Brecher (Kurnitz also developing the story) Director W. S. Van Dyke returns for his last Thin Man entry. 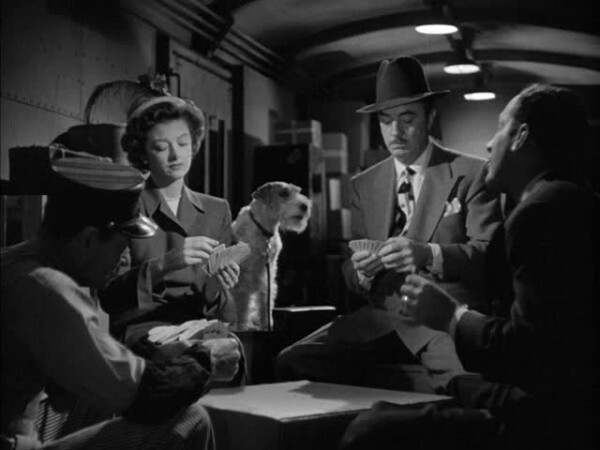 Shadow of the Thin Man was released November 21, 1941, on the eve of the US’s entrance into World War II with the bombing of Pearl Harbor. 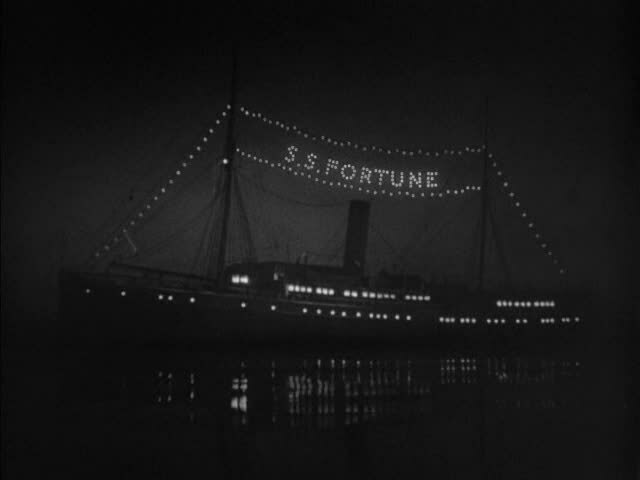 None of the ongoing worldwide conflict is reflected in the film, which involves murder and horse gambling conspiracies. The only real acknowledgement of real world events seems to be the rolling back of displays of Nora’s wealth, though it is still obvious they are flushed with money. 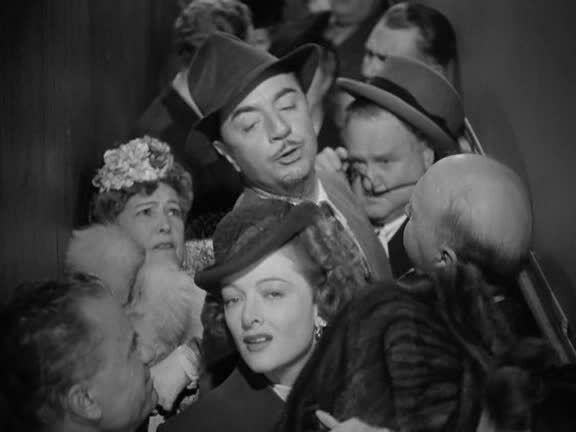 The Thin Man flicks zigzag back and forth between New York and San Francisco, so we return to the Bay Area for good time Bay Area fun. 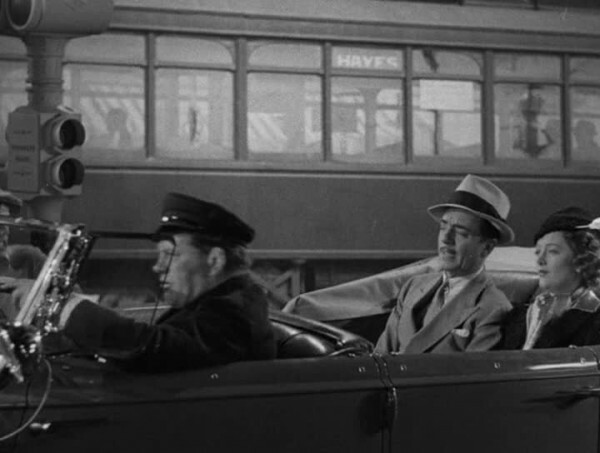 Also returning is Lieutenant Abrams (Sam Levene) from After the Thin Man, because we’re back on his beat. Once again he needs Nick Charles’ help, because of mystery murders with lots of complications. Murder victim “Whitey” Barrow (Alan Baxter) is one of those obvious murder victims. Baxter’s also ridiculously overacting when he’s playing the tough mobster guy, yet sounds like a normal person when he’s hiding his gangster persona. It’s a weird choice (and frankly a bit distracting), luckily he gets knocked off early enough it doesn’t become a big problem. Nora keeps up with Nick’s investigations the most in this sequel, following him on his searches, showing him up when it comes to dealing with his son, and even luring him home with the siren song of a shaking martini mixer. There are bonus points added for Nora heroically leaping onto a gun during the climactic scene where the real murderer reveals themselves by grabbing the gun they always have. Aside from Nora Charles, most of the female roles are pretty thankless, despite being filled with quality actresses. Stella Adler manages to turn the limited role of Claire Porter into something amazing. 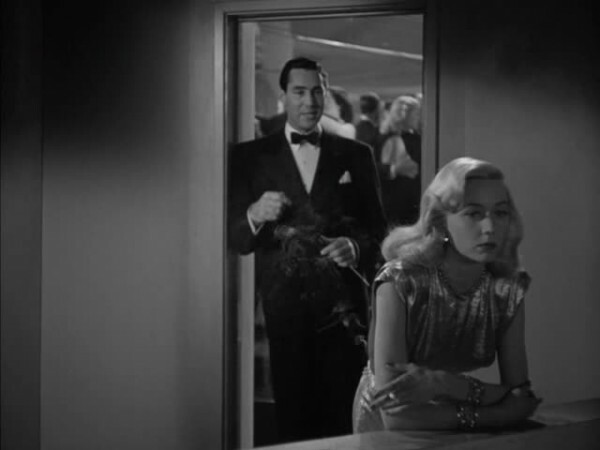 Porter is drenched in the casings of the upper class, appearing to be well-to-do despite her gangster boyfriend. But her money comes from a job not so well-to-do, a job they can only hint at (due to the Hays Code) by her switching up accents when flustered by Nick Charles. Donna Reed has the truly thankless role as the secretary girlfriend to the accused murderer Paul. Despite a hint that she might be more than she looks due to who she works for, her character is given little to do except worry about her man. Louise Beavers’ character of Stella, the Charles’ maid, is the largest part for a black actor in the Thin Man series. Sadly it’s what I call a Mammy Whammy, in that it’s over the top servant character. Beavers is associated with that type of role, partially because those roles were the only roles available to black performers. She gained fame with a non-stereotypical black maid role, Delilah in 1934’s Imitation of Life. 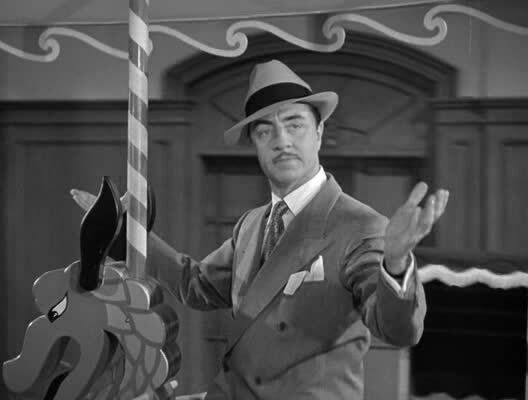 This is the Thin Man entry with some of the funniest bits in the series – the wrestling scene, the merry-go-round, the brawl at the restaurant, Nick getting a speeding ticket, and Nick’s encounter with an old landlady obsessed with radio crime shows and police gazettes, who talks Nick’s lingo and then some. One of the major criticisms is the film focuses on too much that isn’t the murder mystery, and the sequence of events that the mystery follows are practically spelled out. It is true that things seem almost designed to happen no matter what Nick and Nora do, they are practically swept up into the original murder and are present at every important event following it, complete with the police actively encouraging them. The killer is the most obvious of the whole series, but my view on the films are that it is about the journey, not the destination. After being raised on two decades of carbon-copy police procedurals where the real differences are the show’s characters and gimmicks, which quickly become the defining reason to watch. 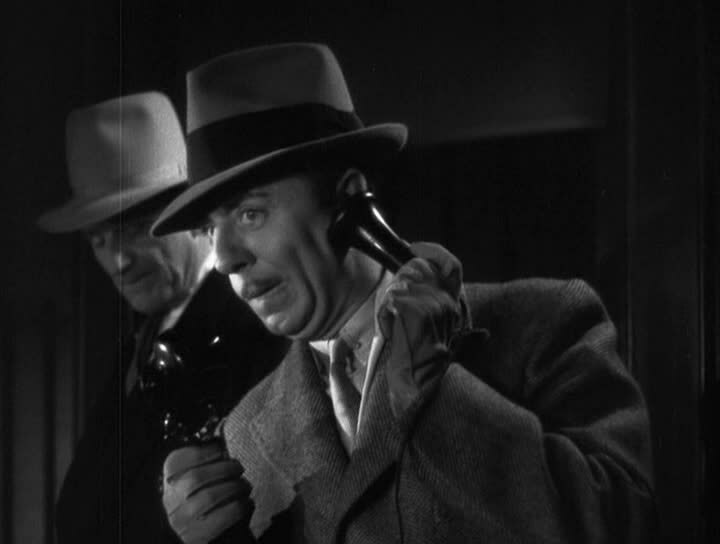 The old detective movies that are memorable have their own cool characters and gimmicks, of which the Thin Man flicks excels. 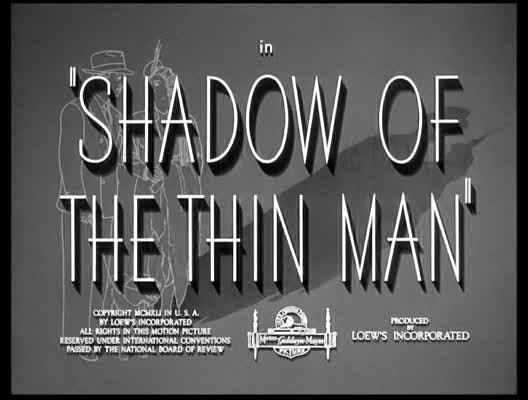 I don’t think Shadow of the Thin Man is a shadow of the prior films (BOOOOO!!! to that pun! ), instead standing tall with the original four despite a few flaws. Nick Charles (William Powell) – The oft-retired Nick Charles drives right into another murder mystery, turning his day at the races into a day of investigating. Nora Charles (Myrna Loy) – Nora follows along with Nick’s plans and manages to come along to a variety of locations. Is very into the wrestling event. Sneaks her way into the investigation as well. Asta (Asta) – Asta is back causing lots and lots of chaos and fighting, when he isn’t hiding from kittens! Nick Charles, Jr. (Richard Hall as Dickie Hall) – Old enough to actually talk, Nick Jr. becomes a character who helps push Nick to be more responsible, and to do things to impress his son. Paul Clarke (Barry Nelson) – A good reporter who gets framed for Whitey Barrow’s murder. He’s trying to take down the mob interests that are running the track and several other operations. Molly (Donna Reed) – Paul’s girlfriend, she works as mob boss Link Stephens’ secretary in a bid to pass information along to Paul. Lieutenant Abrams (Sam Levene) – Lieutenant Abrams returns to the series, though the San Francisco detective is investigating murders in Oakland, not that the Thin Man movies have worried about jurisdiction before! Is practically begging Nick Charles to help with the case. “Whitey” Barrow (Alan Baxter) – A shady reporter who extorts money from mob guys he helped cover up/fix stories for. Becomes a murder victim thanks to everyone wanting him dead, and someone granting that wish. Claire Porter aka Clara Peters (Stella Adler) – Rich lady who is a former girl involved in all the mob business and some adult business we can’t discuss openly because of codes. 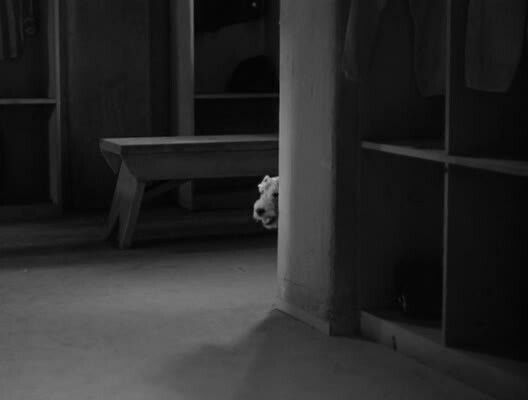 Yes, this is THAT Stella Adler, the famed acting teacher, in one of her rare film roles. After taking a brief trip home to San Francisco for the prior film, the action returns to New York City with Another Thin Man. 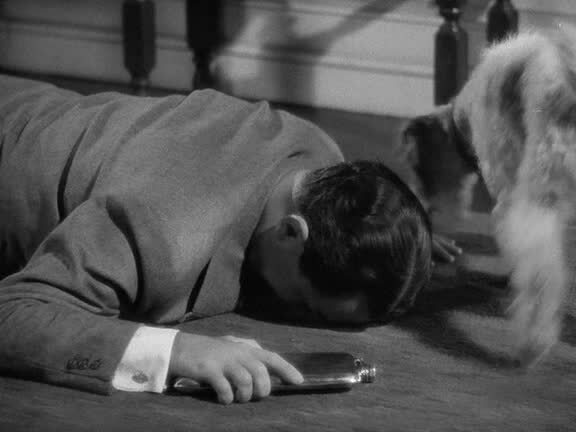 The third entry in the franchise features one of the best mysteries and a cool collection of the off-beat characters that help make the Thin Man films so endearing. If you can’t smile when a bunch of mugs and lowlifes sing an off-key rendition of Happy Birthday while each holding random screaming children, then you’re probably a boring person scared of life. 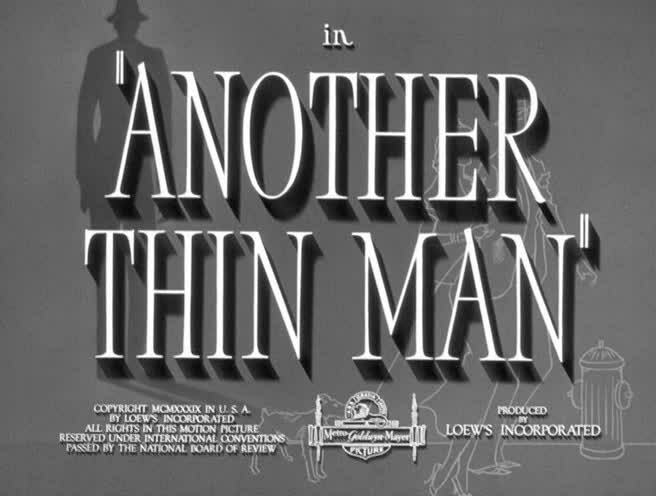 Another Thin Man is my favorite of the series, I feel it has the best mix of characters, humor, and mystery. There is a constant stream of characters both good and seedy, and often both. 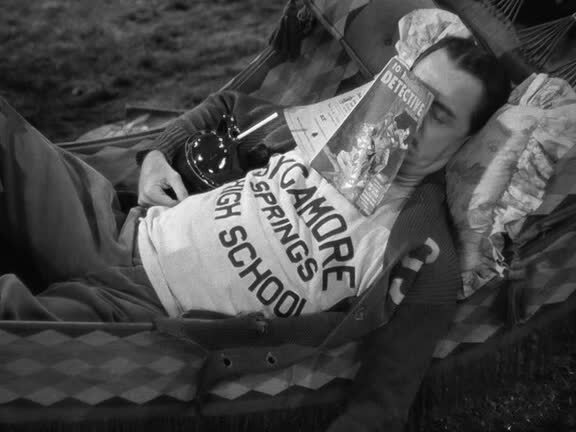 Another Thin Man picks some of the themes of the prior two films and then throws them on their ears – there is a love triangle with a rich girl, a rich father who becomes a murder victim, and secret identities. Nora’s father’s business partner Colonel Burr MacFay makes an unsympathetic murder victim with his dismissal of Church and admittance that things outside of the law were done to ensure the fortune. But the law isn’t about whether someone is worthy of being a target. 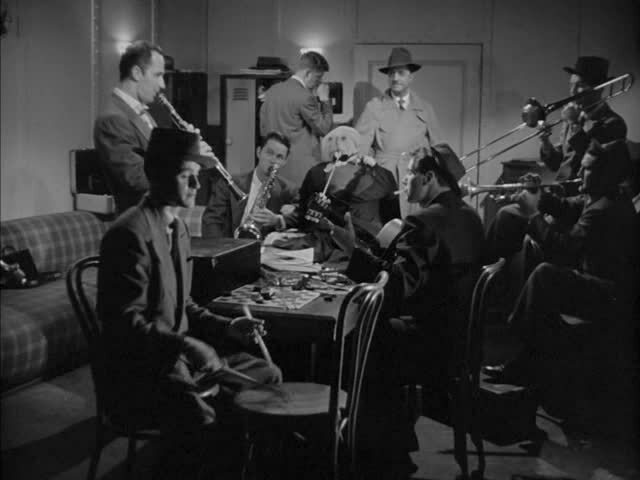 One delight is the Cuban dance number in the West Indies Club, working with the Cuban origin of Church while providing a follow up to the Chinese-themed nightclub from Another Thin Man. Nora had received a phone call promising a clue would be told to her there, and she rushes over so she can show up Nick. Nick manages to get to the club by other means, and finds his wife at a table swarmed by male suitors (one of the few turnabouts to Nick constantly finding the admiration of random ladies in the series), they trade some hilarious wordplay that send the men scattering, and Nora ends up dancing with a guy who she thinks is the man with the information, but is just a lovestruck random guy. Nick has his own adventure with a man who begins spilling the entire plot after a few drinks, and Phil Church’s goon Dum-Dum is there to continually tell the guy to shut up. Nick does end up saving his wife from dancing with the random lothario thanks to a well-time punch when the power goes out. 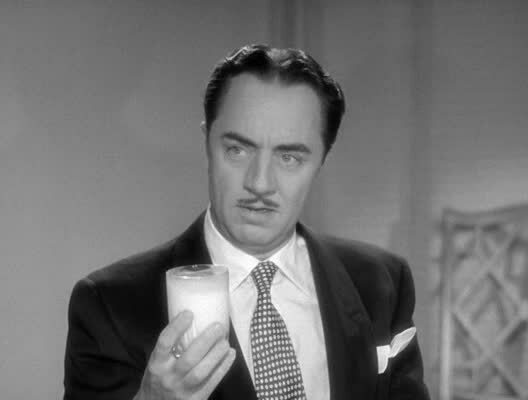 Another Thin Man is jammed packed with the character actors that gave the Thin Man films their goofy dangerous flavor. Harry Bellaver plays Creeps, a “reformed” criminal now working as a bellhop (and another of Nick’s busts back from his detective days) who is determined to throw the couple a party. Shemp Howard appears as another reformed criminal named Wacky, who borrows a baby to get into said party. Paragon of British upper crust C. Aubrey Smith is Colonel Burr MacFay, business partner to Nora’s father, and he turns out to have been involved in some very shady dealings. And let’s not forget Dum-Dum, the knife-welding member of Phil Church’s crew who projects an aura of intelligent danger, even if he’s occasionally deflated by Asta retrieving his knives. Assistant District Attorney Ben Van Slack (Otto Kruger) becomes very involved in the investigation, at first trying to flip it on Nick, then eventually chasing after any lead and making lots of exaggerated implications. There is also the welcome return of Nat Pendleton as Lieutenant John Guild, the New York detective more than happy to have Nick help on this case. Keep your eyes peeled for Marjorie Main (from the Ma and Pa Kettle movies) as Mrs. Dolley! A seedy trio lead by Phil Church are threatening Colonel MacFay for compensation for the time Church spent in jail while working for the Colonel. Church is embittered over his time served, but also has a complicated plan to get money and cause problems. He speaks of dreaming of his enemies dying, and then they do so in real life. Church’s knife welding servant Dum-Dum is more than just a goon, he knows the plan and knows he needs to keep people quiet, but occasionally is even cordial to Nick despite his deadly undertone. His devotion to Church is total. The female quotient is Smitty, who has a few secrets of her own. There is even an unofficial fourth member of this trio, who at first appears to just be watching the group, but manages to weasel himself inside to give us an additional suspect. The plot is among the more complicated of the series, red herrings flying around like Lew Zealand is performing. A good chunk of what happens seems to transpire just to lead us off course. There is a long-lost daughter, a mystery woman, and people who are more than they appear. 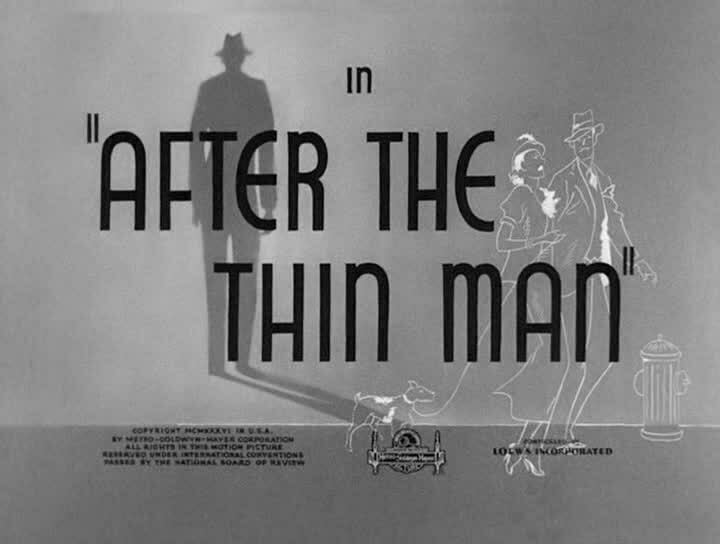 Another Thin Man is the last of the films given a story by Dashiell Hammett, which were also worked on by Frances Goodrich and Albert Hackett (and Anita Loos is also credited with story work by online sources). Nick Charles (William Powell) – The retired detective is once again out of retirement with another murder mystery, this time involving more people he knows. Even a few of the secondary characters are starting to get suspicious. Nora Charles (Myrna Loy) – Nick’s wife and now mother of Nick Jr, thus she won’t be keeping up with the drinking and must double down on quips. Asta (Asta) – The Charles’ loyal dog is with them once again to help look for clues, retrieve knives, and to get into random mischief. This may still be Skippy, or may be one of the replacement Astas. I have conflicting information on that. Lieutenant John Guild (Nat Pendleton) – Lt. John Guild returns to the series to try to figure out the case, even though the murder happened outside of New York City proper. Maybe he works for the state police? Assistant District Attorney Ben Van Slack (Otto Kruger) – ADA who attaches himself to the case because someone high-profile was knocked off. Spends part of the film jumping to ridiculous conclusions and giving weird looks. Colonel Burr MacFay (C. Aubrey Smith) – Friend and business partner of Nora’s father, and helped run the businesses after her father died. Did some shady stuff, though he insulated Nora’s dad from the bad stuff. Screwed over Phil Church and doesn’t want to pay out. Has a bajillion enemies, and then mysteriously dies in an empty room. Phil Church (Sheldon Leonard) – Cuban ex-con who spent time in jail because he did off the book dirty deeds for Colonel MacFay, and now he wants to get paid for his troubles, or else! He threatens people by telling them he dreams of their deaths, and after the third time that they die in his dreams, they die in reality. Has a gang consisting of knife-thrower Dum-Dum (Abner Biberman) and female Smitty (Muriel Hutchison), who is his sort of love interest despite having a husband she doesn’t bother with. Lois MacFay (Virginia Grey) – MacFay’s adopted daughter. She comes complete with a dog (Jesse), a fiancé (Dudley Horn, played by Patric Knowles), and Freddie Coleman’s interest. Of her admirers and family, only Freddie comes out of the first chunk of the movie with his life intact. Freddie Coleman (Tom Neal) – MacFay’s secretary and lovelorn admirer of Lois MacFay, though she has other interests and is engaged. 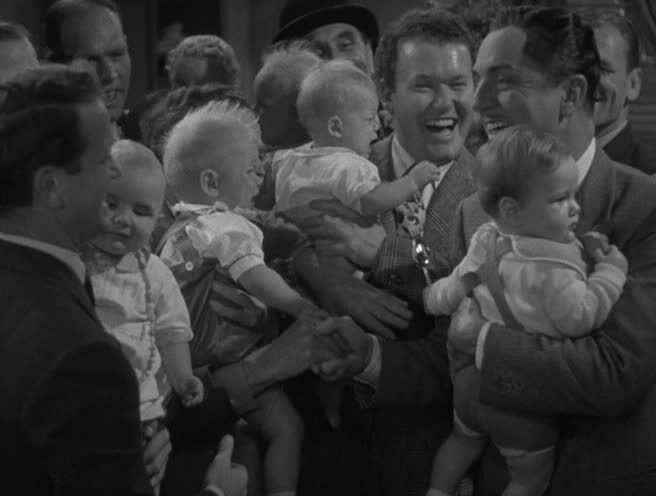 “Creeps” (Harry Bellaver) – “Reformed” criminal who runs into Nick and insists on throwing him a party in celebration of the birth of his son. Responsible for bringing a lot of colorful characters into the climactic scenes. Nick and Nora Charles return to San Francisco as heroes, their solving of a murder exploits big news as San Francisco has never had any crime, ever. Okay, maybe there were a few crimes in San Francisco, but the Charles are famous thanks to the power of media making heroes. Of course, the fun can’t last, and soon Nick and Nora are drawn into a brand new murder mystery. Never fret, there are plenty of wacky characters and real dangers along the way, with Nick and Nora quipping all the while. It’s almost literally right after The Thin Man, which took place over Christmas, and it’s now New Year’s Eve. That keeps the festive atmosphere without retreading the Christmas theme. There is a surprise welcome home party happening at Nick and Nora’s house, which means the house is packed full of people who have no idea who Nick and Nora Charles even are, nor who recognize them when they come in. A guy hilariously welcomes them inside and explains he doesn’t know who the Charles are, and advises them to just fake it like he’s doing. They go along with it, dancing together to the kitchen, where the house staff actually does recognize the pair. More than any of the other films, After the Thin Man is aware of the class differences between Nick and Nora. Nora was born into wealth, while Nick married into it. Despite their differences, the pair are equally willing to hang out with anyone from any class strata. Nick has a constant stream of lower class reformed criminals that he runs into that are all wanting to be buddy-buddy, while Nora’s rich relatives treat Nick like a pariah, especially ironic considering the guy Aunt Katherine’s daughter Selma ended up married to. One of the biggest draws to After the Thin Man is Jimmy Stewart, who knocks it out of the park and whose performance will be one of the main things you remember from this sequel. When I first watched the Thin Man flicks, it was because I was getting into older movies and became a big Jimmy Stewart fan. I also needed to watch the films in order, because that’s just how I roll. Luckily, they had just released all of the Thin Man flicks on VHS tape (remember those? Of course you do!) and so they were easy to find at the rental stores. Except for After the Thin Man. For some reason, none of the video stores in the St. Louis area seemed to have a copy. I finally found one at an independent video store on the way home from work, and that place became a regular stop due to a classics section that outdid much of the competitors (though the cheapo DTV action films I still rented from Schnucks!). Oddly enough, their copy of After the Thin Man was ancient, in a giant clamshell package, despite the other five films all being the new VHS versions. Whatever, I finally got to see Jimmy Stewart be awesome, and then could continue the series. 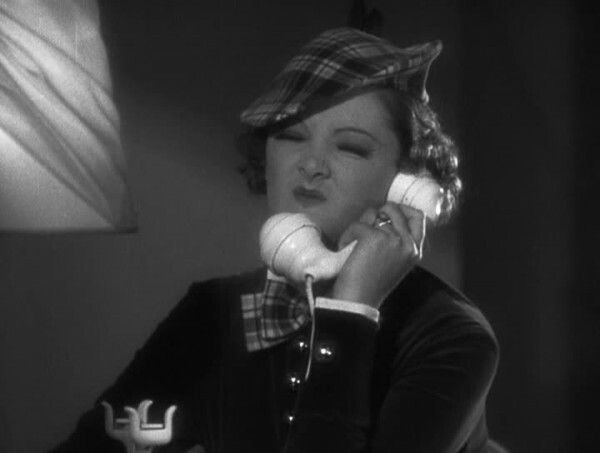 I do remember the commercial in front of each movie for the whole Thin Man set, which is a nice dumb thing to remember when I can’t recall where I put my keys. Asta has an expanded role, not only does he partially destroy a clue while attempting to play with the Charles, but there is a running gag with Mrs. Asta, who thanks to Asta’s long absences has take to accepting visits from a local black dog, including producing at least one puppy. Despite Asta chasing off the interloper, by the end of the film Asta is continuing to hang out with the Charles family, leaving his “wife” to her own devices. As she and his children are never seen again, we can deduce what her decision was. 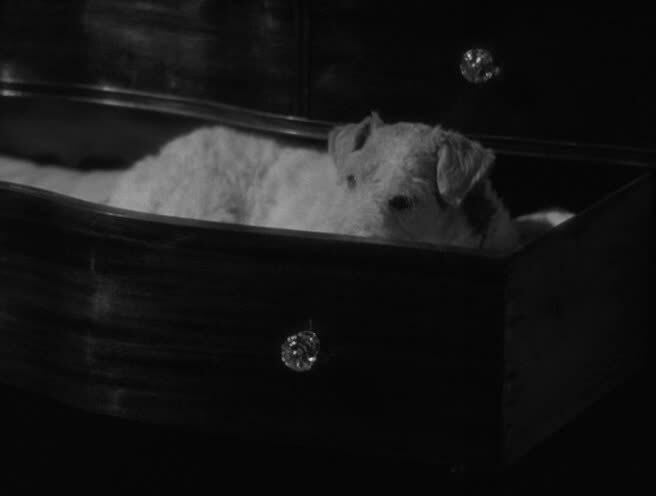 While the new dog being black might constitute a racial component, I’m thinking it’s more of a way to make the visual gag of a puppy that’s decidedly not Asta’s work the best in black and white. 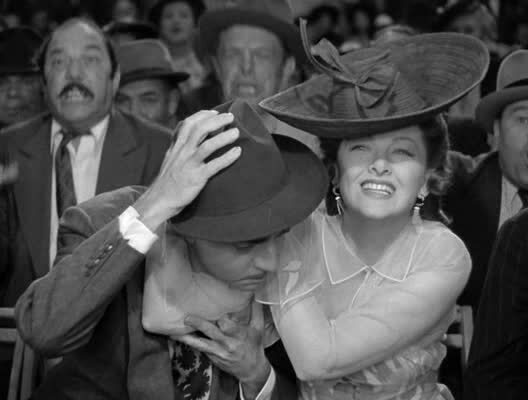 Still, this is the type of humor that has begun to dry up with enforcement of the Hays Code, and subsequent Thin Man features would have to resort to even more abstract metaphors to discuss infidelity and other issues. Nick Charles (William Powell) – Former detective turned socialite who keeps detectiving because it keeps life exciting, he gets involved in the cases anyway, and because he’s darn good at it. Nora Charles (Myrna Loy) – Socialite who continues to encourage her husband to take tough cases, especially when they involve their friends. And gets involved in the cases as well. Asta (Skippy) – We find out here that Asta is an absentee father, so I expect one of his kids wrote a tell-all book about their life. Asta also enjoys mangling clues, like the note he thinks is a play thing. Oh, that Asta! David Graham (James Stewart) – Friend of Nora and Selma’s for years, he’s always been in love with Selma, but then she goes and marries some jerk and he’s forever friend-zoned. But when she’s accused of Robert’s murder, he’s there to try to help her. Selma Landis (Elissa Landi) – Nora’s cousin and daughter of the notorious Aunt Katherine Forrest (Jessie Ralph), whose hobbies include looking down on the poor and being shocked by everything. Selma married the no good Robert Landis despite David Graham holding a flame for her for decades, and now suffers before Robert’s indignity as well. Then she gets accused of his murder, and is so out of it she begins to doubt her own innocence. Lieutenant Abrams (Sam Levene) – Lead detective on the case out in San Francisco, also enjoys Nick helping out. Is less of an outward tough guy than Lieutenant John Guild, but can be tough on the criminals if need be. Polly Byrnes (Penny Singleton as Dorothy McNulty) – Lounge singer who is Robert’s new girl, except she’s really running a con on him along with her club owner boss, Dancer (Joseph Calleia). Her brother Phil Byrnes (Paul Fix) is a bottom dweller who sometimes almost spoils her plans. Robert Landis (Alan Marshal) – Selma’s husband who spends his time and her money out at clubs hitting on other women. Is all set to leave her when he is gunned down, Selma found holding the gun. 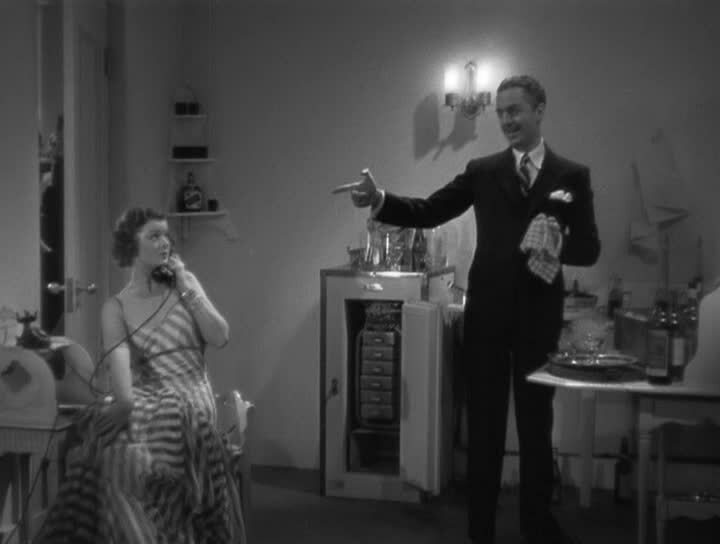 Of all the old school detective films I’ve watched (and I’ve watched quite a few), the most enduringly entertaining detective series is by far the Thin Man films, headed by the irreplaceable William Powell and Myrna Loy as Nick and Nora Charles. The married couple quip and drink their way through complicated murder mysteries and have a good time while doing so. 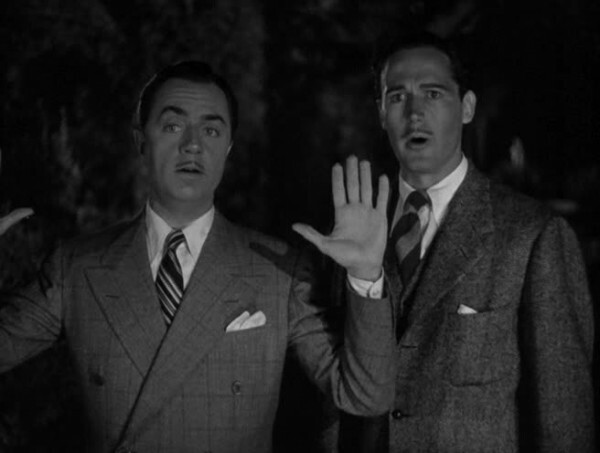 The mysteries are top notch, the chemistry between Powell and Loy is legendary, the guest stars put in powerful performances, and there is plenty of danger and gags to keep the fun and excitement at a steady pace. Nick and Nora Charles have since embedded themselves in pop culture, becoming a mystery archetype with similarly premised shows and films. There is even occasionally the dreaded remake rumors, though nothing will replicate the chemistry of William Powell and Myrna Loy. The Thin Man films are among the first series of classic films I tracked down and watched the whole sequence of back when I was just starting out as a cinephile (along with the Hope/Crosby/Lamour Road movies and the Marx Brothers), so the films have a nostalgic connection for me. But they’re also pretty darn good regardless of memory enhancement, even if the series begins to drag a bit with the final two films. 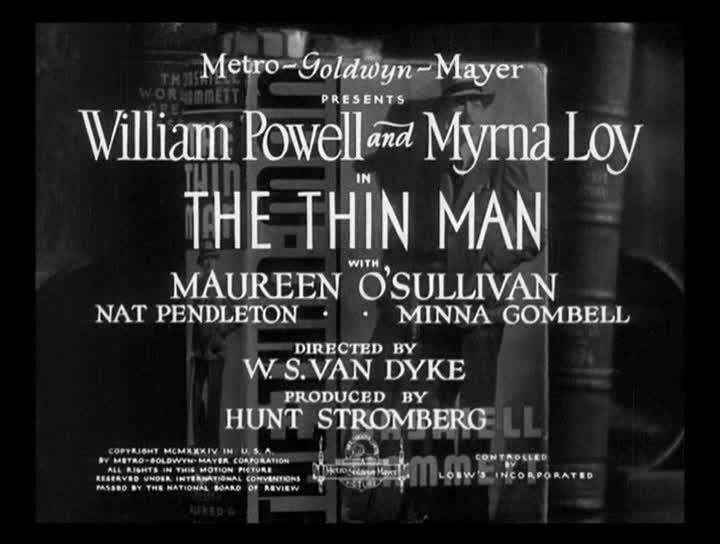 As everyone who is anyone knows, the “Thin Man” of the title refers not to Nick Charles, but to the murdered victim, Clyde Wynant. Audiences soon came to refer to Nick Charles as the Thin Man, so the name stuck through all the sequels and the television series. The Thin Man was the last of five novels by Dashiell Hammett, who did story work on the next two Thin Man films (edited versions of these stories were published after his death). Hammett was sick with TB, and focused his career on screenwriting and political activism before joining the Army in World War 2 (having pulled strings to get enlisted). He later was jailed and became a victim of the Hollywood Blacklist due to his left-leanings, and died of lung cancer in 1961. Coming out in 1934, The Thin Man appears right as the Hays Production Code was beginning to get enforced more vigorously. Of the six movies, it has the most dirty jokes and references that the other films could only dream of using. But there is still plenty of things that seem done just to keep people from panicking, such as Nick and Nora sleeping in separate beds (as they do in all six movies!) One wonders just how Nick Jr. was conceived, though they did spend an awful lot of time together in tiny train cars, so there’s that answer! Nick Charles is a former detective who seems to have worked out of both New York City and San Francisco, and seemingly solved every case that ever happened on both coasts. Thanks to his skills, everyone knows him, from the cops to a colorful cast of characters of the criminal persuasion. You see, Nick is such a gentleman that he gives them all square deals instead of treating them like criminals, and most of them were proud to have been caught by him. Thus, when trouble is afoot, everyone seems to assume he’s going to help crack the case. Everyone except Nick Charles, that is! But that reluctance doesn’t last long, and we’re soon off to the races! Nora Charles was born into money, a Nob Hill heiress (a neighborhood of San Francisco where the moneyed elite settled in the late 1800s) who married Nick out of love, and because the couple are perfect for each other. Instead of one personality dominating, Nora easily keeps up with Nick with the zingers, and often with the drinking. Nora even tries her hand at detectiving, usually over Nick’s objections. Occasionally she ends up getting into trouble, but Nick is on hand to bail her out (or occasionally she bails him out! ), and often she helps find additional clues for the puzzle. 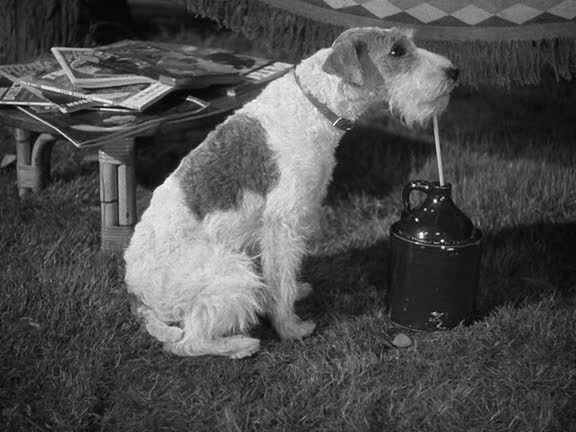 The final main character of the Thin Man features is Asta the dog, a male wire fox terrier. 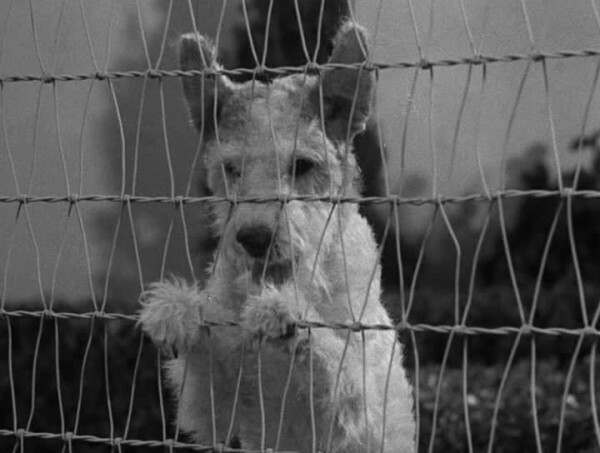 Asta is played by a canine actor named Skippy, who appeared in several other films such as The Awful Truth and Bringing Up Baby. Skippy eventually just became known as Asta. 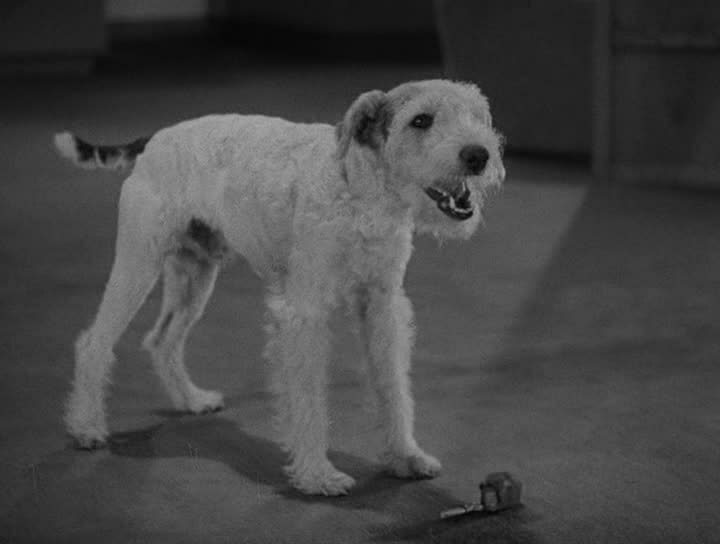 There is conflicting information on how many Thin Man films feature Skippy and how many feature replacement dogs, but the original Asta is for sure in the first two films, and definitely replaced for the last two films. Skippy commanded a huge salary for the time, $250 a week. The Asta on the Thin Man tv series was reportedly a grandchild of the original. In the books, Asta is a female schnauzer. Asta is a mini canine detective of his own, finding clues when out with Nick, though Asta does destroy evidence on at least one notable occasion. Asta has a bark worse than his bite, occasionally being frightened by kittens and hiding during danger. 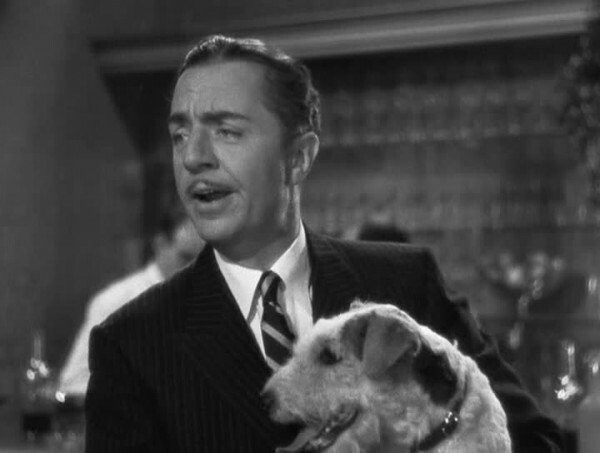 Asta got a family in After the Thin Man, which consists mainly of visual gags and his wife having already found someone who sticks around to be with, culminating with Asta abandoning them for a life of jet-setting with the Charles. 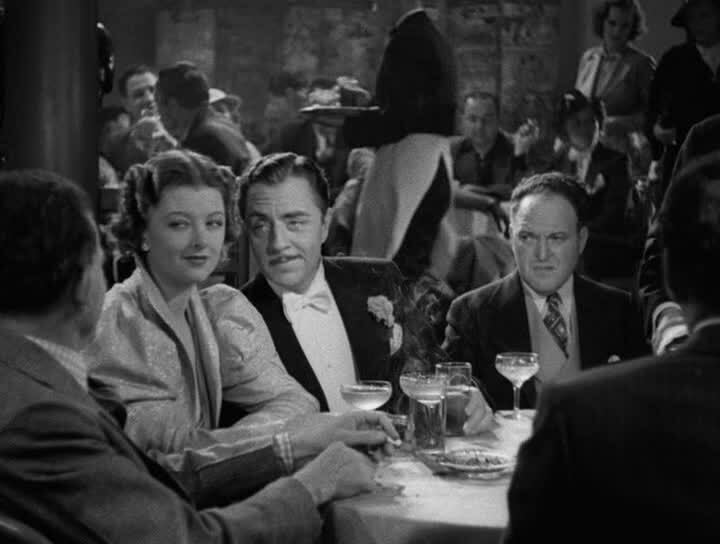 The Thin Man came out in the heyday of the Great Depression, and Nick and Nora are running around with money to spare, living it up. 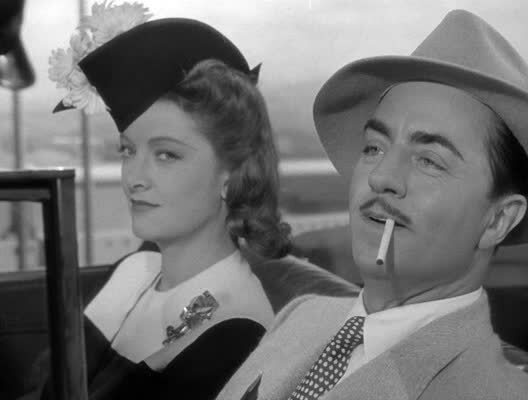 Films had become a means of escape, and William Powell and Myrna Loy are just so charming together that you don’t mind that they’re rich. 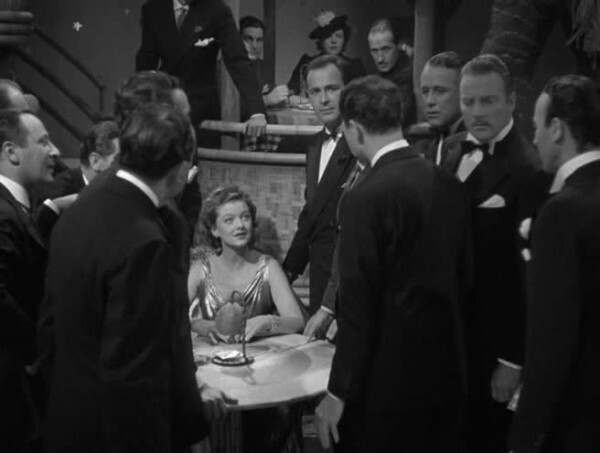 Powell previously played an aristocratic detective named Philo Vance in a series of films (the original trailer for The Thin Man has Powell’s Philo Vance introducing Powell’s Nick Charles) Director Woody Van Dyke had to fight to get his cast, using Powell’s prior role as leverage and fighting for Myrna Loy, which meant production had to be rushed so it would finish in time for a film the studio wanted to use Loy for. 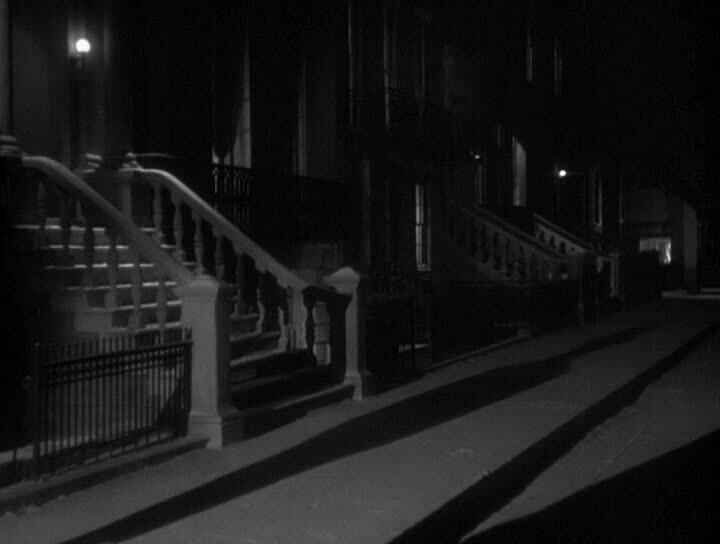 Like many good mystery films, the story is not about the mystery so much as the couple and the characters. Thus, Nick and Nora flying zingers back and forth while having a good time and going with the flow make for an engrossing viewing experience, and that’s helped by the strong casts of supporting characters, both humorous and dangerous, and even four-legged such as Asta the dog. Powell and Loy appeared together in 14 films, six of them being Thin Man entries. The couple was so associated with their wonderful chemistry each other onscreen that people thought they were actually married in real life, leading to a few awkward situations if an actual significant other was around. 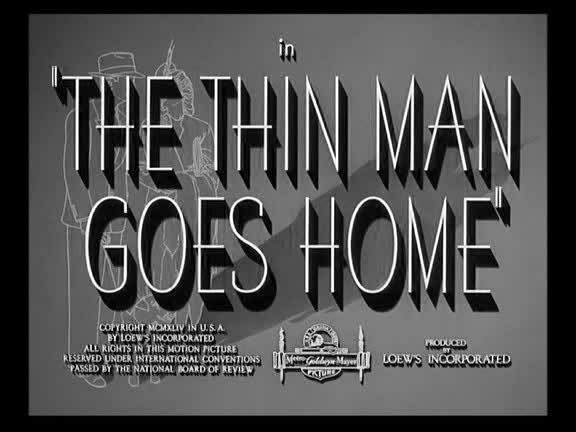 The Thin Man became a surprise hit, which lead to a string of sequels. Dashiell Hammett contributed stories to the first two sequels, and Van Dyke directed all of the pre-war Thin Man movies (he died in 1945). The series lost its oomph with the last two entries, but was revitalized in the 1950s as a television series (including an episode featuring Robby the Robot!) and occasionally we get a revival threatened. The concept is one that would lend itself to a great modern television series, it would just require two leads with explosive chemistry to pull it off. I have watched a number of older detective series, and they harken back to the days when you could just barge into people’s homes and do all sorts of unsavory stuff. There were no CSI labs, and there is plenty of detectives messing up crime scenes by moving bodies, touching evidence, or “borrowing” clues for later. Yet there are also references to labs, showing there was some actual forensics work going on, even if the movies gloss over all of it. After wall, we got to have the big conclusion where Nick explains the entire crime to a crowded room of suspects only to reveal the murderer at the last second, that doesn’t really work if an out of date DNA sequencer matches a suspect before Nick’s decided if he’s even going to get off the couch and go detectiving. Nick Charles (William Powell) – Retired detective now living the good life with the love of his life. Gets dragged back into the detective business and breaks the case, because he’s just that good at it. A big fan of drinking. Nora Charles (Myrna Loy) – Wealthy heiress who married Nick out of love, and is the only one who can keep up with him both on the drinking and the quipping front. Encourages him to get back into detecting because she thinks it will be fun. Asta (Skippy) – The strong-willed dog of the Charles, who is both a brave finder of clues and a coward when the danger comes out. Enjoys playing with balloons. Dorothy Wynant (Maureen O’Sullivan) – Daughter of Clyde Wynant, who goes missing and then is accused of murder. She is set to be married, but after the troubles with her father she has a breakdown and begins to display a wild streak. Knew Nick from when she was a child and her father hired him. Lieutenant John Guild (Nat Pendleton) – Lead detective on the case who is more than happy to have Nick Charles help out, though he has his own theory and keeps finding evidence that supports his theory, instead of looking at it from an objective point of view. Clyde Wynant (Edward Ellis) – The titular Thin Man, who becomes prime suspect number one for a series of murders despite having been missing for several months. But there is more than meets the eye going on here! A cranky inventor who becomes too focused on his work and regularly hides away somewhere to develop new inventions. His marriage ended when he began his affair with his secretary, Julia Wolf (Natalie Moorhead). Both women seem more after Wynant’s money than Wynant himself.